On Tuesday I took a part in a usability study for GoPro and at the end of the session got a free GoPro Hero 3+ and today the memory card arrived from Amazon… So now the adventures will begin!! 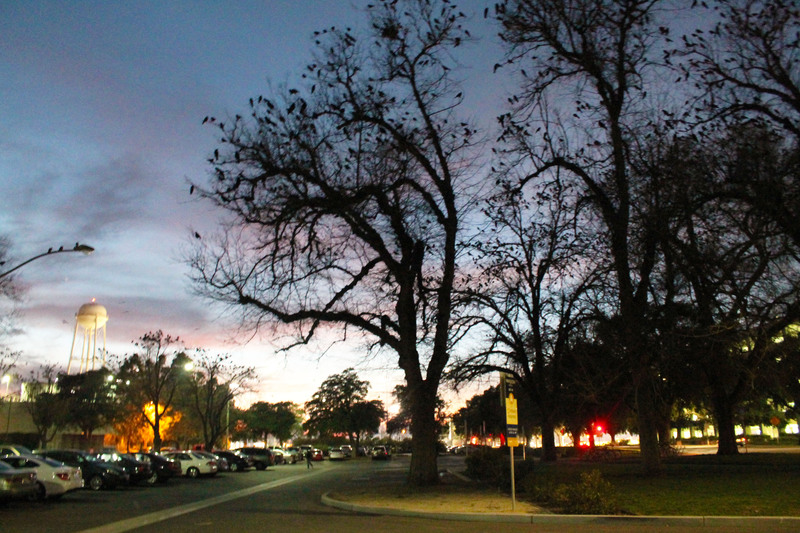 Due to the fact that I spent almost the entire day indoors in the lab or at practice (where taking random pictures is not allowed) my only outdoors comparison came as I left my evening class at 6 and all of the Crows were back in the trees of the parking lot. I decided to take the opportunity to take some shots with the GoPro (No LCD screen so I ended up taking like 25 shots and only liking 3) and my Canon Rebel 2Ti DSLR camera. No tripods were used for either camera. Thanks for the like on Elm Drive Images. Thanks for following Elm Drive Images. 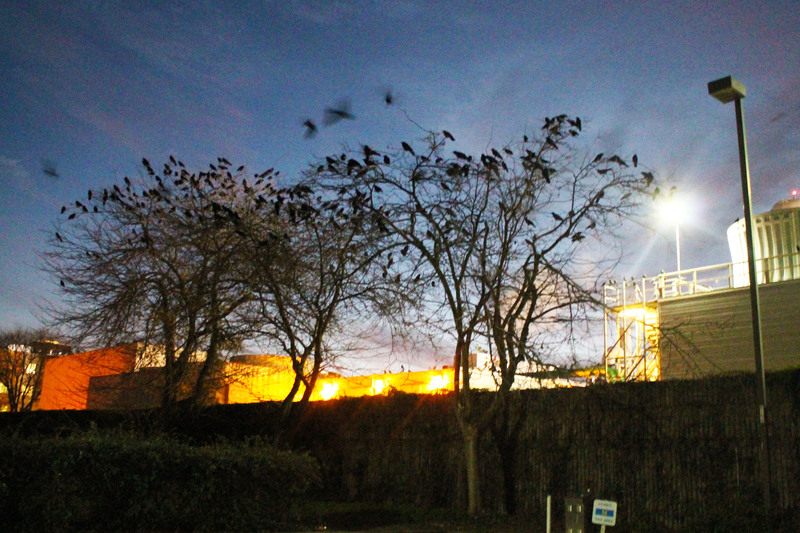 That’s some nice pictures of the crows there. Thanks for the like on Cardinals – Ler’s Eat. 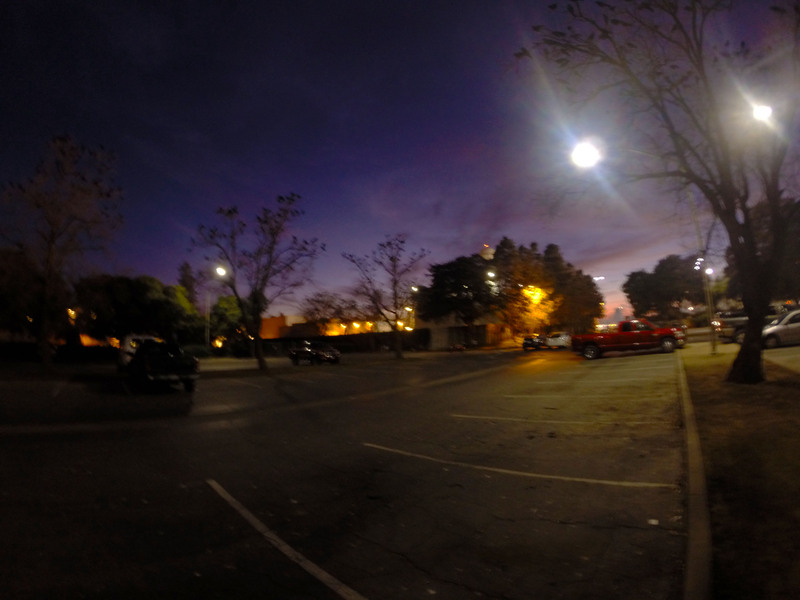 GoPros are great, but they do have their limitations. I’d like to get one myself for time lapse shooting. I can’t decide whether to get a +3 black or the newer 4 silver. I can get a great deal on the 3+. The 4 silver has a bit more to offer technically, but it doesn’t come with an extra battery and charger, a remote, and a few other goodies I can get with the 3+. But the 3+ is $50. more than the 4 silver. Decisions, decisions. Thank you for the like on, The Backyard – Fall Coming. 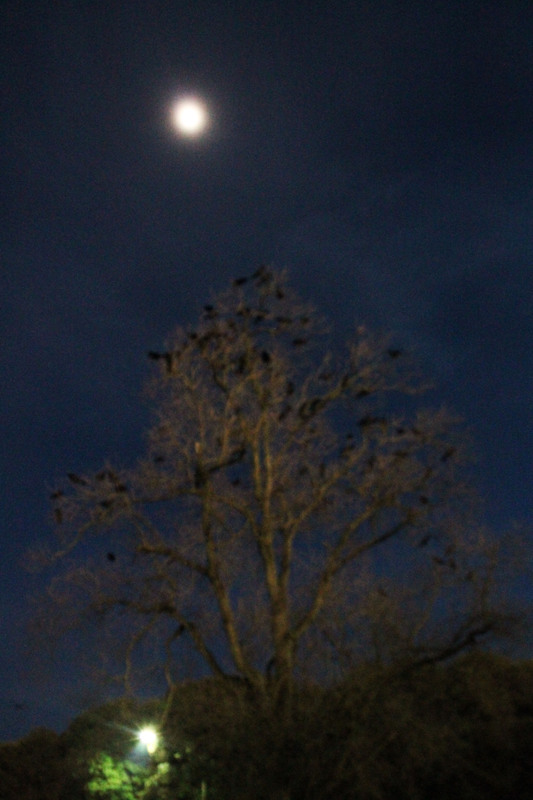 Wow that is a lot of crows. Love it. 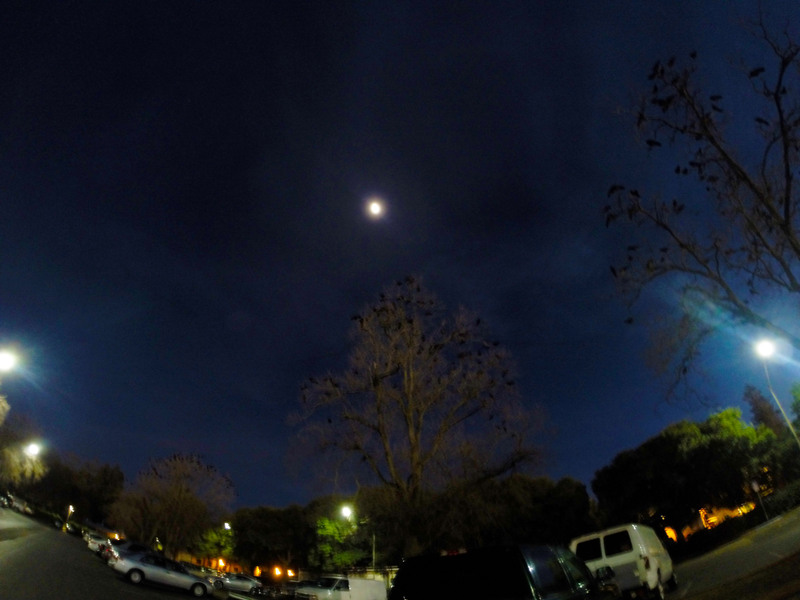 I am a fan of the GoPro only for time-lapse and video though. Beautiful pics. Loved each one. Super interesting. Thanks for posting! Oh my god! 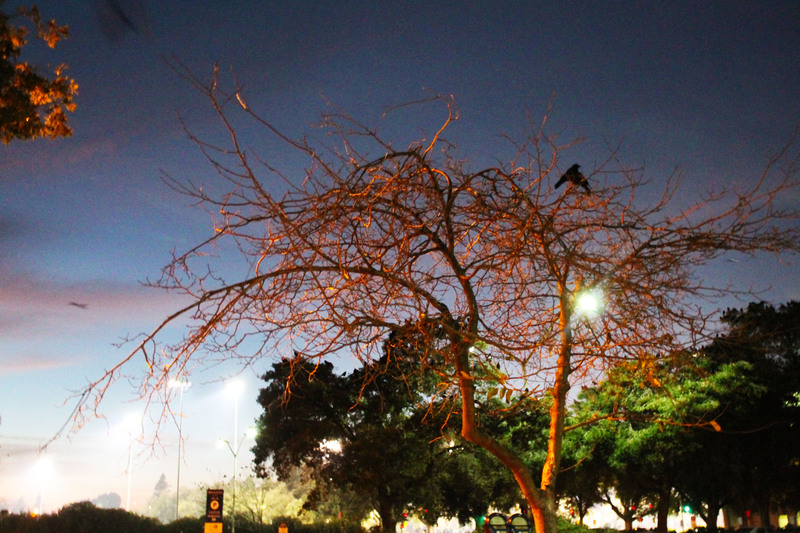 I love the crows in the trees! Great op! Holy! I didn’t know that the GoPro’s had such limitations! 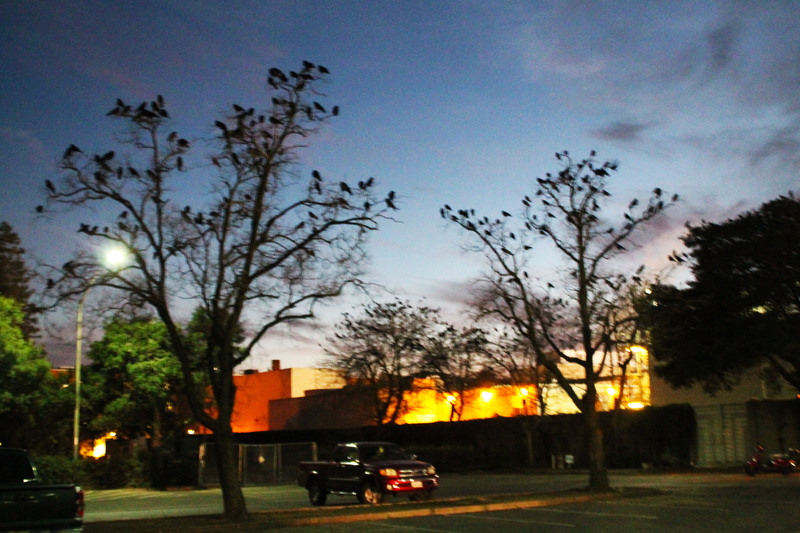 Amazing to see so many crows together. In Australia crows used to gather in large numbers, but here in North Cyprus they’re skittish, more solitary and very hard to photograph. Great photos and very interesting. I have quite a lot of film cameras and equipment but they all seem out of date now as it`s easier to just download onto the computer and see straight away what you have taken.I used to love taking pics on film and then developing , printing and enlarging but it`s a long process and the chemicals are not in every chemist like they were years ago.The thing is that most of my photos go onto blogs so I don`t need the definition that you get with film. Thanks for the comparison photos. I usually end up mixing media between my tiny action camera and my ‘real’ camera. nFor example, this video is mostly taken with an action cam, but mixes photos and video from my mirrorless lens camera of the same scene. 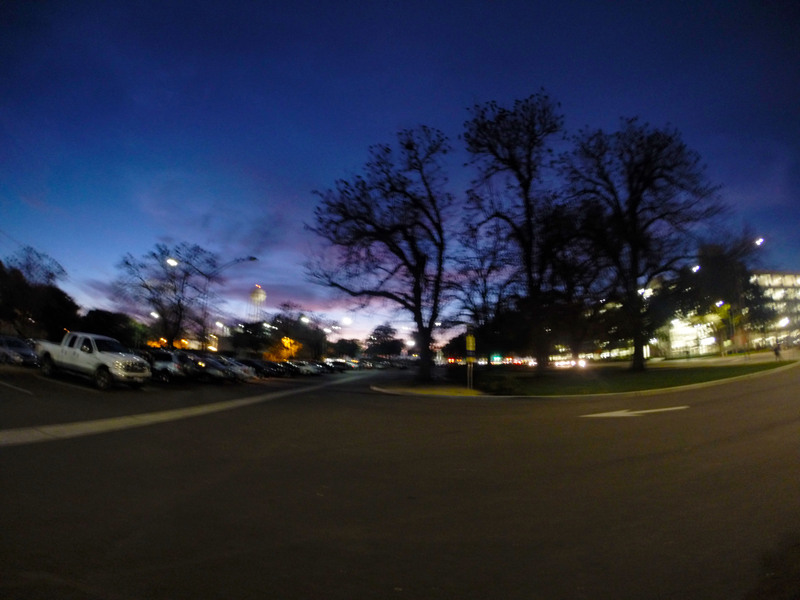 Each have their limitations, but I would be lying if I said I didn’t want that kind of quality from my actioncam too. sometimes when our eyes get used to, thing we see everyday does not looks special or appealing. but you have a different eye. I did not realize before photos of crows may be so beautiful. Love this! How does one get involved in a usability study? I’ve never played with a GoPro but your impressions look pretty cool! Keep up the good work!